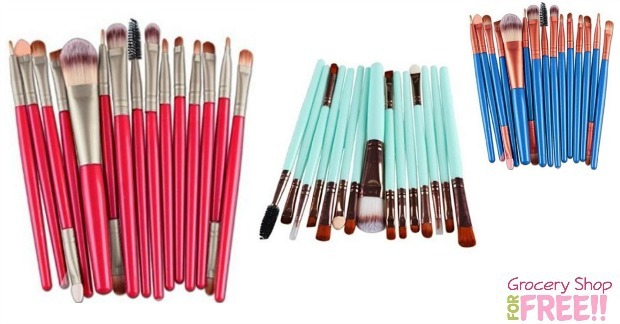 15pc Makeup Brush Set Just $4.14 Shipped! You are here: Home / Great Deals / Amazon Deals / 15pc Makeup Brush Set Just $4.14 Shipped! Here is a nice deal on makeup brushes! I am always buying one brush here, one brush there… this set takes all of that fuss away and it is WAAAY cheaper than buying them one at a time! They would go great in this cute makeup bag, too! They would both make an nice gift! This would also be a great backup set for travel or even a stocking stuffer idea! You can get this 15pc Makeup Brush set for just $4.14 shipped!